Here’s another very versatile bag idea. This cinch top tote could be used for a variety of applications. How about for the kids to carry, store or organise their toys. Or for a hobby bag – like keeping all of your knitting supplies tidy. The nice deep tote basket with handles is great for storage anyway, but add on the cinch closed top, and it’s totally secure, even if you swing it about! This video is a little bit rushed and doesn’t show you everything in real time but we think you can get the general idea how it works. If you want more instructions and tips, you can also sew a simple bucket bag, very similar to this but without the cinch topping. 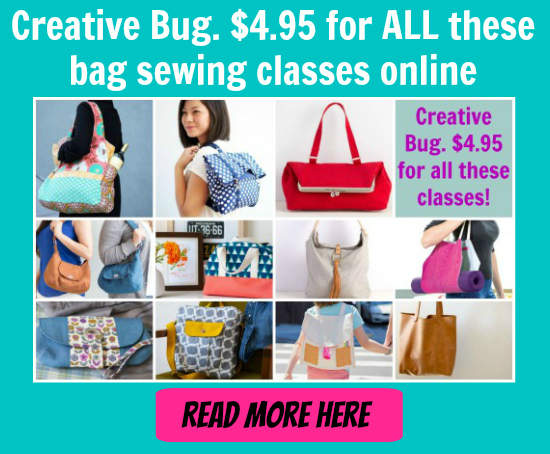 Check out the free Craftsy sewing class and pattern to show you exactly how to do it below.